Chrome Beta for Android recently got updated, much to the delight of the Android user community. Most of the hitches that had plagued the previous version have been corrected, and the new browser is not only better, it is distinctly faster as well. The annoying bugs have been eliminated, and the browser is now fully reliable. Android users are spoilt for choice when it comes to the variety of browsers they have. While the native one provided on all Android smartphones performs just as well, most users feel more at home with third party browsers. The Chrome Browser for Android is one of this, and it has a wide receivership, since it offers, or at least promises to offer the same seamless performance as the PC version, but on a reduced scale. It has not been smooth sailing so far, but the new update has fixed most issues to make it an even more user friendly browser without any obvious shortcomings. What are The Updates reflected in Chrome Beta for Android? The latest update of the browser is the third this month alone, and it aims at addressing the instability elements of the Beta. The biggest improvement on the updated browser is the page rendering. The rendering response is noticeably faster with no annoying lags, and the overall rendering performance is significantly better. You can also now scroll images after zooming in. The bug that hindered this has been removed, and the blue line that would sometimes spontaneously display below the search box has also been removed. Huawei tablet users would experience a black screen as the browser loaded, and this too has been fixed. There are no more accidental crashes on the updated version and the dreaded black screen that appears during loading is now a thing of the past. Are there any shortcomings in Chrome Beta for Android? Granted, the Google Chrome Beta browser is far from perfect, and it has even been described as being a little rough around the edges, but it is good browser nonetheless. With the enormous support it is receiving from Google and the frequent updates that seek to improve or perfect its different aspects, it is a very solid choice. It, for one, offers more abundant options than the one provided on stock Android. 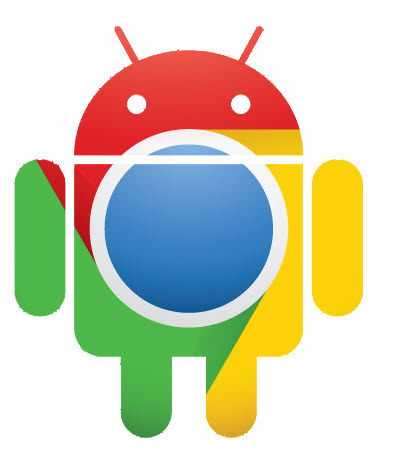 The updated Chrome Beta for Android is available for download from the Google Play Store. You could alternatively visit the Google Chrome blog and download it from there. A tech buff with a passion for writing, Although loves to write on Android upgrades and devices run on Android, doesn’t miss relevant news on other industry players. Follow Abhilash on Google+ Twitter.